Picross is a game in which solving a puzzle creates a picture. Use the clues at the top and side to determine which blocks to fill in! 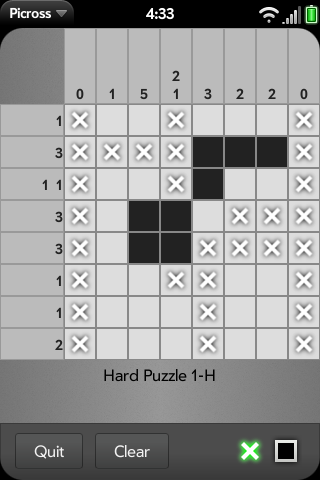 This game demo includes 48 original 8x8 Picross puzzles. The full version has 384, plus a builder with which you can create your own puzzles.